A great book has the power to move you in profound ways, to open your mind to new experiences and new places without ever leaving the comfort of your own home. 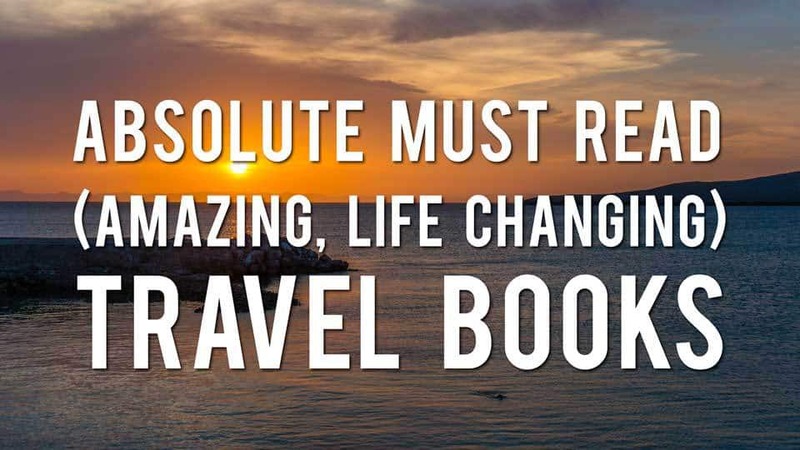 But the best travel books have the power to not only take you to a new place mentally but to instill in you the burning desire to head out there yourself, shake off the shackles of current life and get out there to see the world. The written word is a powerful thing, and many books have had a profound effect on me and the direction of my life. 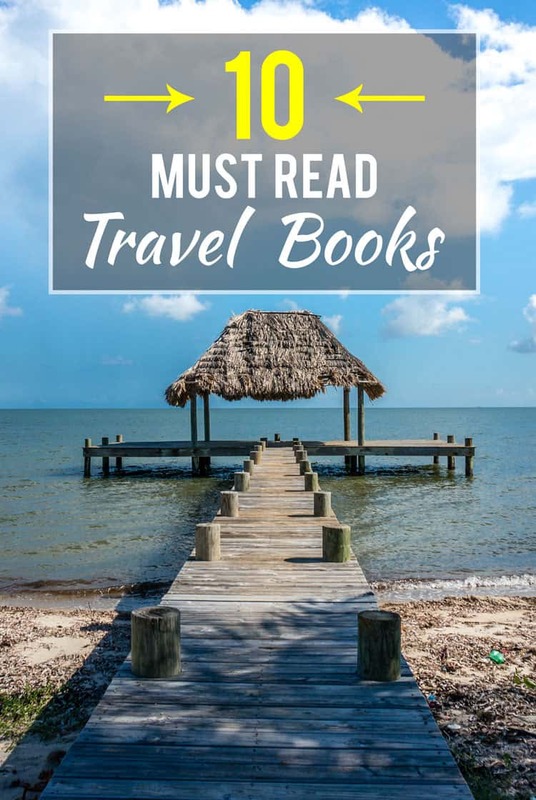 But that wasn’t enough, I wanted more amazing travel books to read, so I reached out to 10 other prominent travel bloggers to find out what books inspired them to get out there traveling. What follows is a selection of the best travel books that will linger with you for years to come and instill in you that spirit of wanderlust that aches to be fulfilled by traveling to new lands and finding new experiences. 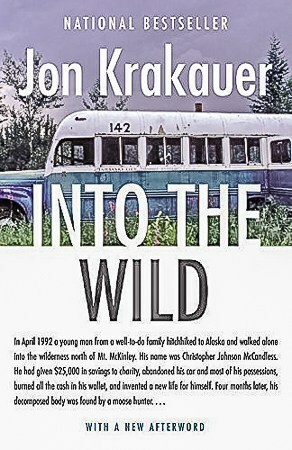 This is not your typical travel book… If you aren’t familiar with this true story, it is a about a young man named Chris McCandless who abandons his previous life to set out vagabonding across the American West while preparing for his Walden Pond-esque mission to live off of the land in the wilds of Alaska. Ultimately, his adventure takes a turn for the worst and he perishes alone in the wild in the back of an abandoned bus. His story, while sad, is also at the same time a source of major inspiration for many—myself included. His perspective on so many things, from materialism and our society’s focus on wealth and disconnect from Mother Nature are things that all resonated with me. Jon Krakauer does an amazing job reconstructing his story and telling it in a respectful and insightful manner. 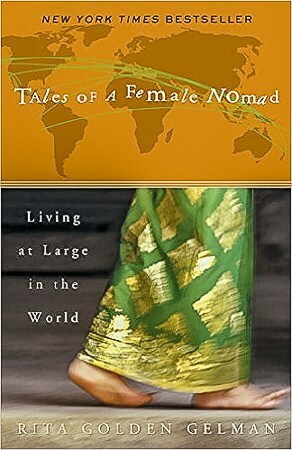 This is truly an incredible book that will make you want to throw off the shackles of society and experience the world. One of the most memorable parts of the book for me is when he talks about that scene in the movie Wall Street where Charlie Sheen says all he wants to do is make a boat load of money, leave the stock broker life, and ride a motorcycle across China. Rolf rightly points out just how absurd that statement is—yet most Americans probably don’t think twice about it—his character could easily save enough money to buy a motorcycle and ride it across China by working virtually any menial job for a year or two. 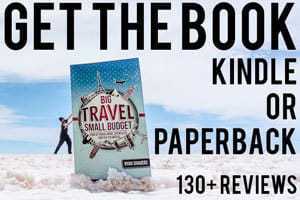 The ability to travel doesn’t come from having a boat load of money like Charlie Sheen’s character—the ability to travel comes centrally from your decision to make travel a priority, and this is truly one of the best travel books because it will make you understand how accessible travel is. Like the quote above by E.M. Forster says, if you’re ready for this book it will have a profound influence on you and the direction of your life. 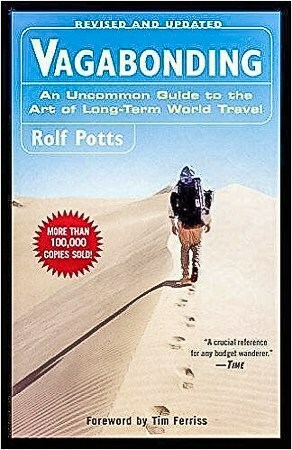 This book opened me up to a world that I never knew existed and a thought process that essential to long-term travel. The book isn’t really a travel book per se, but the freedom to travel is a central element of the story. Contrary to what the title suggests, it isn’t really about literally only working for 4 hours per week (which some people get really hung up on), but rather creating independence in where you can work—even if that just means negotiating a remote work arrangement in your current job. – The 80/20 principle, whereby 80% of our results or more come from 20% of our efforts which holds true in many facets of our lives (even the fact that you use 20% of your clothes more than 80% of the time). 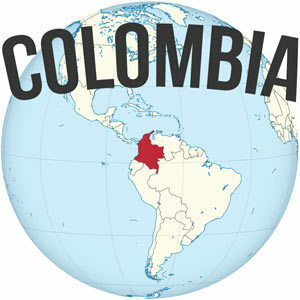 – What Tim calls dream lining whereby you map out your ideal lifestyle overseas and taking advantage of geoarbitrage (whereby your currency goes much farther), you’ll quickly realize that travel is surprisingly affordable, especially if you settle down somewhere temporarily – like when I lived in Medellin, Colombia for around $700 per month. By settling down somewhere affordable and working in a location independent manner, you can more easily meet your expenses. 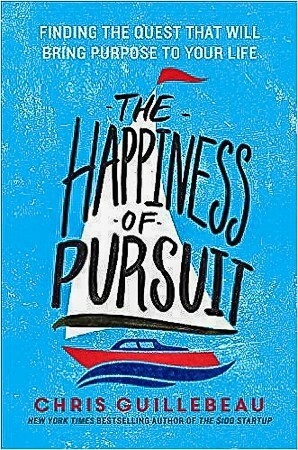 The Happiness of Pursuit talks about the importance of finding your personal quest which can help provide meaning and structure to your life. A quest in this sense doesn’t have to be travel related but travel certainly lends itself well to what “questing” entails. A quest here is defined as something measurable, manageable and has a definite end point. For example “travel more” is not a quest. But traveling to every country in the world, or climbing all fifty highest points in each state, or visiting every Starbucks in New York City—those would all qualify as quests. Many have written to me and said “I wish I could do what you were doing” but they never clarify their goals… It’s often vague and non-commital. Embarking on a quest as outlined here will instantly make your goals more likely. If you want to do something, make sure it is a SMART goal (Specific, Measurable, Achievable, Realistic, and Timely). The book also recounts the stories of dozens of other questers and talks about their varied pursuits from bird watching, to walking across America, to cooking meals from every country in the world. This book will inspire you to set your own goals and show you a realistic framework for how you can achieve them. 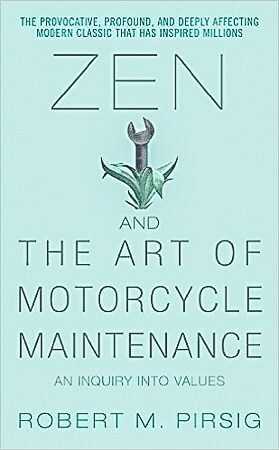 Zen and the Art of Motorcycle Maintenance is a classic travel tale of a father and son motorcycle trip across the American West wrapped around an introduction to philosophy, and is also one of the best road trip books I’ve ever read. 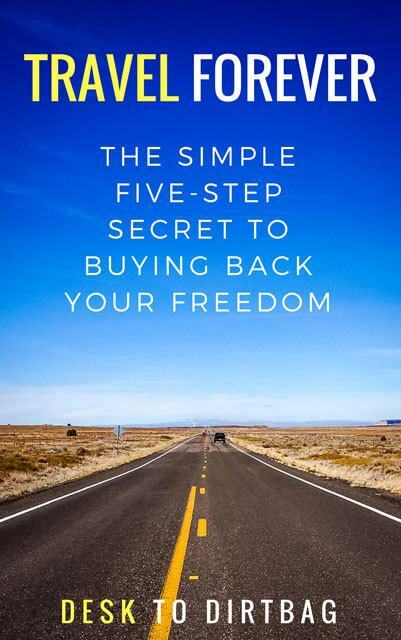 This book will not only make you contemplate buying a motorcycle and hit the road, but it will make you ask some very big and important questions. It will introduce you to classic Greek philosophy, Zen Buddhism, and more within this short and engaging read. Let’s face it, most works of philosophy are decidedly not very readable. 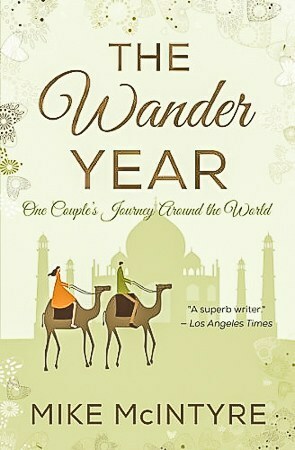 This book is ingenious in presenting it’s core subject wrapped within a compelling travel story. The book explores the concepts of quality or what makes something good, the oftentimes competing goals of form versus function, and how our perspective shapes the things we do, aka how motorcycle maintenance can either be a terrible chore and boring thing or an interesting and insightful process depending on your attitude. This is a book that will stay with you for a long time, and one that will reveal additional nuggets of insight and wisdom on subsequent reads. “The choice you make, between hating and forgiving, can become the story of your life.” With this one sentence, Shantaram grabbed me from the first paragraph and kept me enraptured throughout its 946 pages. Set in the 1980’s in Bombay, Shantaram is a story about fear and dreams, poverty and wealth, war, death, friendship, and most of all, about love. It offers sweeping descriptions of India’s slums, villages, and cities, but it’s the depth of the characters that makes this book so engaging. 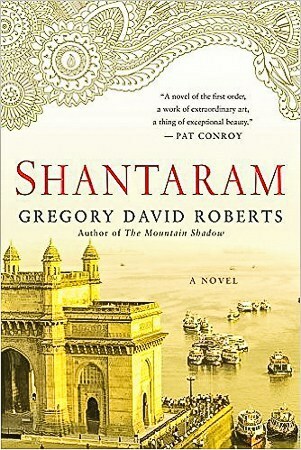 Before reading Shantaram I had little interest in visiting India, but once I started the book I felt so connected to her people that it quickly shot to the top of my bucket list. One of my favorite travel books is “Undress Me in the Temple of Heaven”, which tells the story of two recent college graduates traveling through China. Unlike some other travel books and blogs, this one shares the inspiring parts of travel as well as the tough parts. The author spares no detail of how demanding travel can be mentally and emotionally, making it the perfect read before you decide to embark on a long journey. After reading it, I still wanted to see the world (and perhaps even more so), but it challenges you to face tough questions and prepare yourself ahead of time. That alone will make you a better traveler. The book, which is beautifully written, is the story of a man who decides not to buy into society’s conventional options in order to seek fulfillment on his own terms – becoming instead a seeker of knowledge. Just starting out as a digital nomad and going through my own ‘what do I really want to do with my life’ crisis, I really resonated with the book – even though it’s set just post-world war one and was written many decades ago. Larry, the American main character, lives an itinerant life for much of the book, and travels and lives in Paris, various parts of Europe and India. His search for a meaningful life is contrasted to those who pursue more typically ‘successful’ lives – but who are often shown to be unhappy and unfulfilled. His courage in bucking the norm came at the perfect time for me, and I’d recommend it to anyone who’s still looking for courage and inspiration in order to go against the norm. Coming across Nora’s book was great, with the Trans-Siberian train coming up I was mostly worried about interactions on the train. Nora put those worries to bed with her insightful ideas on how to make great conversations sitting next to people for days at a time who you cannot communicate with naturally. The trip description was accurate even though we did the trip in reverse and we were confident in 3rd class once we heard some of the funny, awkward yet harmless characters. It also details train travel in Australia which, personally I had never considered but it is always going to be in the back of mind going forward. The book won’t tell you how to travel by train so everyone can read it for enjoyment and who knows, it might inspire train travel in the future – at worst you will have a laugh. It isn’t a long read and I struggled to turn off the Kindle, a good sign for a sporadic reader like myself. Chuck Thompson is an honest and unapologetically offensive travel writer who has been in the game a long time. His style is straightforward, critical, and crass, and he tells a great story. 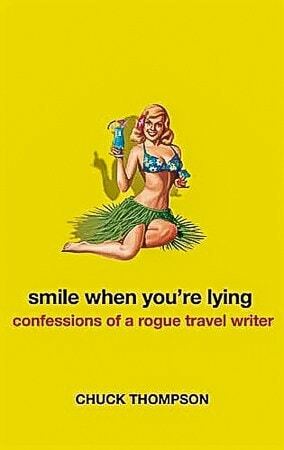 Smile When You’re Lying: Confessions of a Rogue Travel Writer made me laugh out loud, as Thompson fills the book with absurd, almost unbelievable anecdotes of his travels as well as insight into the dark side of the travel industry. 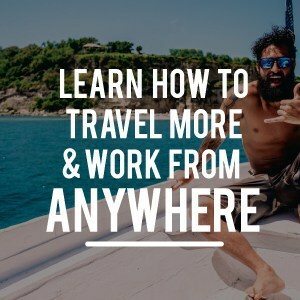 He gives practical advice on how to be a better traveler, such as “lie,” “hang up on morons,” “tip early,” and “stop feeling so entitled,” all of which I’ve taken to heart in looking toward my future travels. His honestly may piss you off and leave you in total disagreement, but he doesn’t care. 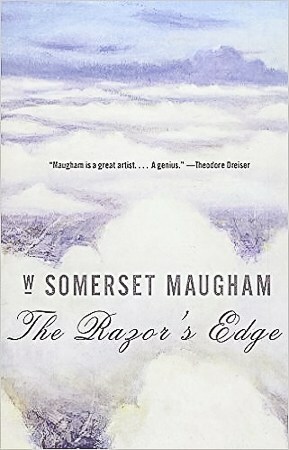 This book enlightened me about the business of travel writing and his hilarious stories entertained me so much that I immediately read his next book To Hellholes And Back which tells of Thompson’s journey to four destinations he’s dreaded the most. 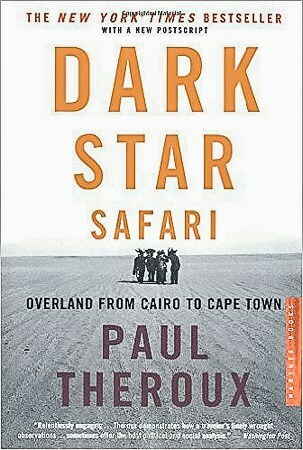 Storytelling runs in the DNA of the Theroux family and in Dark Star Safari, Paul Theroux takes us on a legendary overland journey from Cairo to Cape Town. He has one rule of thumb: only travel via non touristy means! His journey takes him through some of the most beautiful, harsh and dangerous parts of the Black Continent – while taking us on a journey of an Africa we never knew. Aside from escaping desert pirates in Ethiopia, Theroux meets interesting locals along the way, while reconnecting with old friends he met on his Peace Corps days, decades earlier. Stories of the ‘changing Africa’ through his eyes (or lack of change), combined with local life and the amazing scenic beauty – are what make Dark Star Safari a memorable read. Having visited Tanzania, Uganda, Kenya & South Africa myself, the book gave me another perspective on what would otherwise be a normal tourist visit. I relived the memories of the places I visited, while dreaming about new destinations and understanding the context behind some of the things I saw or heard. If you enjoy reading great travel books – you’ll love Dark Star Safari! I recently read two books written by Kara Richardson Whitely. The first book, titled “Fat Woman on the Mountain” is the story of her weight loss journey and her first trek up Mount Kilimanjaro. 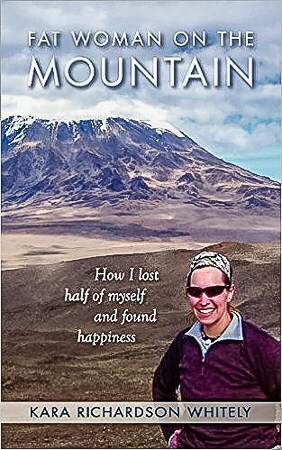 She reached the summit of Uhuru Peak weighing in at about 240 pounds. Her second book titled “Gorge” documents her third trip up the mountain, where she reached Gilman’s Point and weighed even more, tipping the scales around 300 pounds.. I discovered these books after deciding to climb Mount Kilimanjaro myself in March 2016, as a way to mark my 35th birthday. As an obese woman who currently weighs over 200 pounds I found Kara’s words to be inspiring and uplifting. Whenever I tell someone of my plans to summit Kilimanjaro I’m met with mild surprise and a hint of disbelief. People always say “Oh, that’s nice” but I can tell they think that I can’t do it. Kara proved that overweight people CAN do it, though, and that getting to the top of Mount Kilimanjaro is just as much a mental challenge as it is a physical one. Jack Kerouac’s On the Road is one travel classic that every bohemian soul seems to have on their shelf. It’s almost become cliché to call it your favorite travel book, but I don’t care. It truly is mine, and it is the book of the quintessential American road trip. I felt inspired by On the Road immediately, and drawn right in. 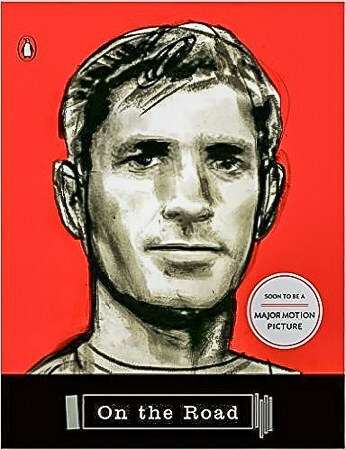 Kerouac writes in a spastic, almost rambling manner which is at times both poetic and disconcerting. This became known as his signature “stream-of-consciousness” style. In On the Road, the structure reminds me of the frenetic pace of traveling. When there’s just so much to see and to take in and to share…that it all just comes pouring out. I feel like Kerouac lives and breathes excitement in On the Road and his descriptions are so vibrant and palpable. 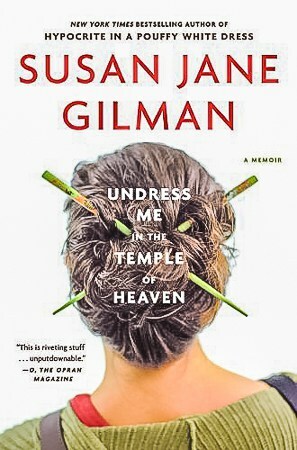 I read this book with all of my senses engaged and I immediately want to set off in search of God knows what. This is not only a book about his experiences hitchhiking and zooming back and forth across the wide American nation, but there’s an inherent spirituality about it as well. I even wrote about this in my Master’s dissertation, entitled Transcendentalism Revisited. Kerouac, among other authors, harkens back to the days of Thoreau and Emerson, who knew already that journeys were a part of spiritual discovery. And for America, this discovery always seems to lead people out on the road, in search of who they are, and that unique….something. That’s the feeling On the Road produces in me, and I know it does the same for other adventurers. In 1986, on the brink of divorce, Rita Gelman-Goldman sold her belongings, left her life behind and became a nomad. She was in her late forties, exploring the world at a time when solo female travelers, especially of her age, were scarce. Despite that, Rita still managed to live in a Zapotec village, stay with fellow Servas in Israel (the original Couchsurfers!) and join the family of a traditional medicine man in Borneo, among other adventures. While this book can be polarizing because of Rita’s lackluster storytelling skills, affluent background and limited point of view, I still think what she did took guts. Chasing a travel dream at that time, at her age, with nothing but the contents of her backpack to her name was not an easy choice. This book is worth a read if you’re looking to take the travel leap and are searching for some bravery of your own! While Mike McIntyre’s first book surely hooked me (a most fascinating account of voluntarily emptying his pockets of all money and setting off ON FOOT across the U.S. – relying solely on “The Kindness of Strangers: Penniless Across America” ), it was Mike’s second book (“The Wander Year” – a tale of dumping everything and this time setting off on a year-long “wander” across 6 continents and 22 countries), that cemented our kinship as travelers. As a fellow lifelong wanderlust – this isn’t some bright-eyed 20-something waxing effusive about how their gap-year skip along the banana-pancake trail in Asia “changed me forever!”. Instead, the book echoes many of my own ardent sentiments gleaned from a lifetime of travel. P.S. 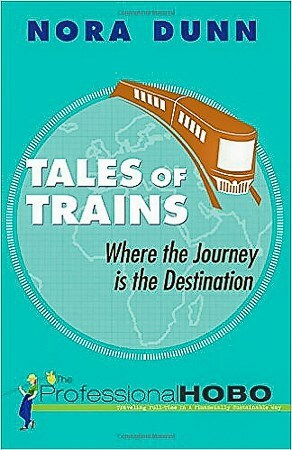 Writing this review, I just realized Mike has another book I’ve yet to read – “The Distance Between: A Travel Memoir”. Trust that the Kindle edition will be on my nightstand tonight! Do you like road trips and good reads? Don’t miss my post on the best road trip books, and be sure to check out this amazing interactive map which charts out the literary journeys of the best modern road trip stories from Atlas Obscura. Did you enjoy this post on the best travel books? Please take a minute to share this post on Facebook, Twitter or Pinterest. Thanks! I am totally saving this list for 2017 reading goals! Thanks! Thanks for checking out the list, Nancy. Thanks so much for including my contribution! This is an excellent compilation and has given me so many ideas about what to read next! I’m always looking for some good reads so thank you for the suggestions! 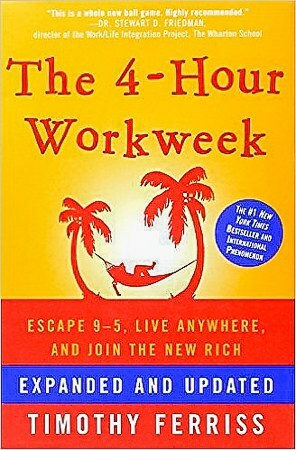 I am currently reading 4 Hour Work Week and loving it! It’s a pretty incredible book if I do say so myself.. Definitely helped send me down this path. Hope you find it as compelling as I did.